Reclaimed Elm Rustic Trestle Dining Table. 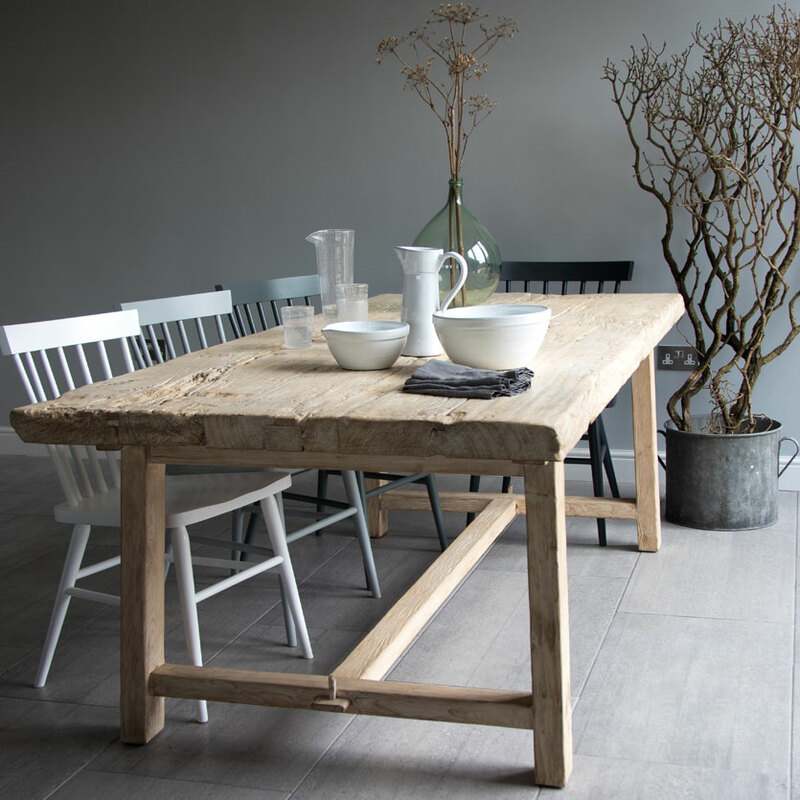 Home Barn’s Rustic Trestle Dining Table is made from solid Elm planks and creates a beautiful country kitchen look. 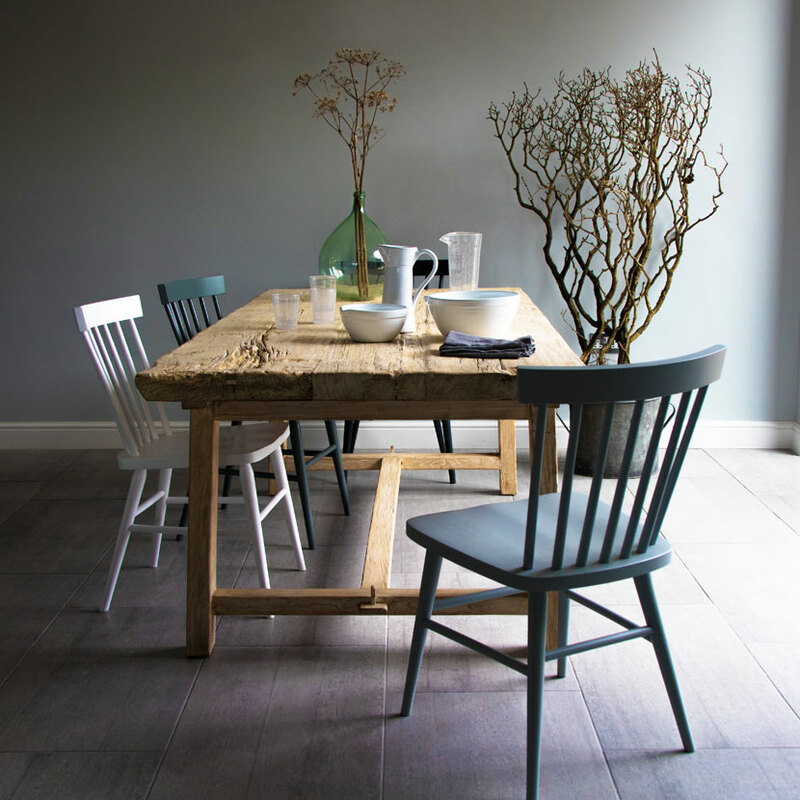 Home Barn’s refectory tables are the perfect family dining table. Scroll down for information. Our Reclaimed Elm Rustic Trestle Dining Table is made from beautiful hand selected and crafted rustic solid reclaimed elm planks. Homebarn’s dining tables take centre stage in the heart of the home. 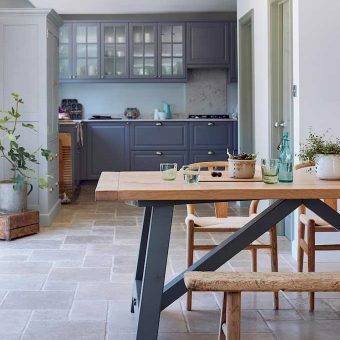 The solid timbers look honest, natural, homely and rustic. We love the concept of informal dining. Our beautiful, solid, reclaimed wood tables are the perfect place to eat, entertain, work and play. They are the perfect family table. Each table is hand made exclusively for us, to our own designs. 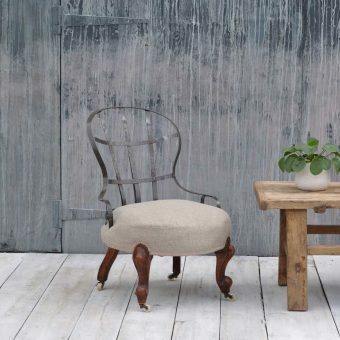 Relaxed in style, our tables have a unique rustic aged aesthetic with a strong design and modern styling details. 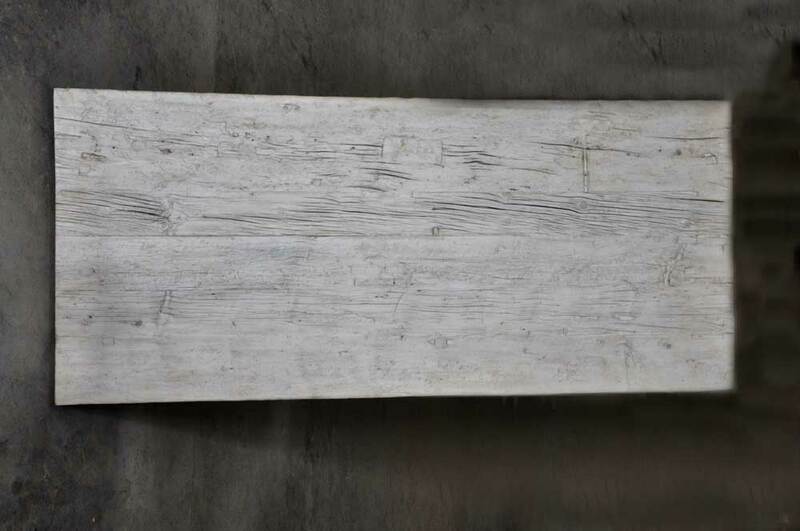 The construction of our solid reclaimed elm dining table is traditional, and we use only sustainable materials. We use solid timbers and traditional joints. Carefully hand selected timbers are perfectly imperfect in appearance with small knots and cracks commonly associated with elm. The grain, colour and texture of each table are different, making each hand made one totally unique. 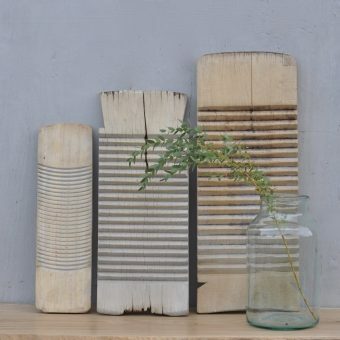 Each of our modern rustic designs is based on traditional classics meaning that they are timeless and will not go out of fashion. 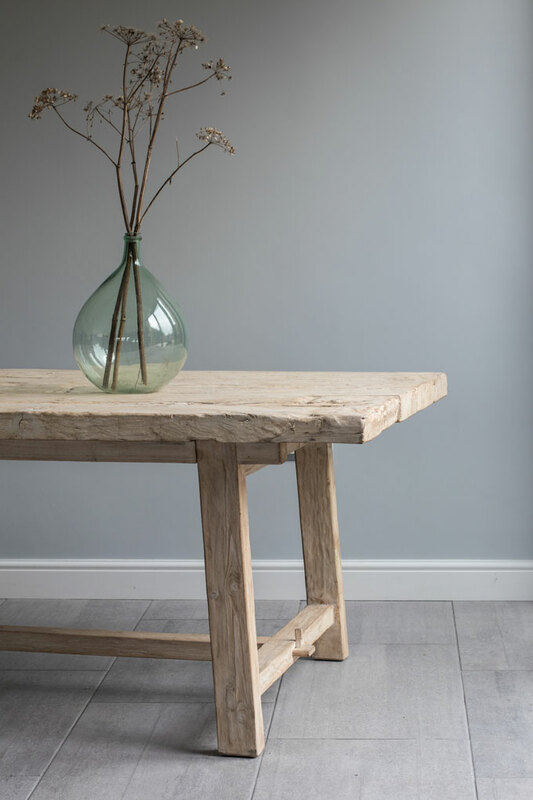 Our solid reclaimed elm rustic dining table are made from solid reclaimed Asian elm. Extension leaves and matching benches are not available with this table. This table is in stock and available immediately. 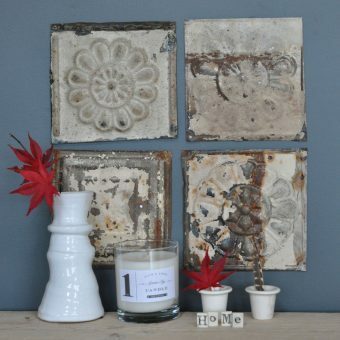 We also have our beautiful Reclaimed Rustic Elm Dining Table with a choice of painted leg colours. Please contact us for a delivery quotation. We aim to get back to you with a delivery price to you within 24-48 hours. Please supply your full address and postcode. We often operate a one man delivery service so please be prepared to help out at the delivery location. You may like to browse our full collection of dining tables here. Tags: beam, beam dining table, beam table, communal table, dining, dining room, dining table, elm, kitchen table, mill table, oak, plank, reclaimed timber table, refectory, rustic, rustic dining table, salvaged, salvaged wood dining table, solid oak.